Prefer a house to a flat? 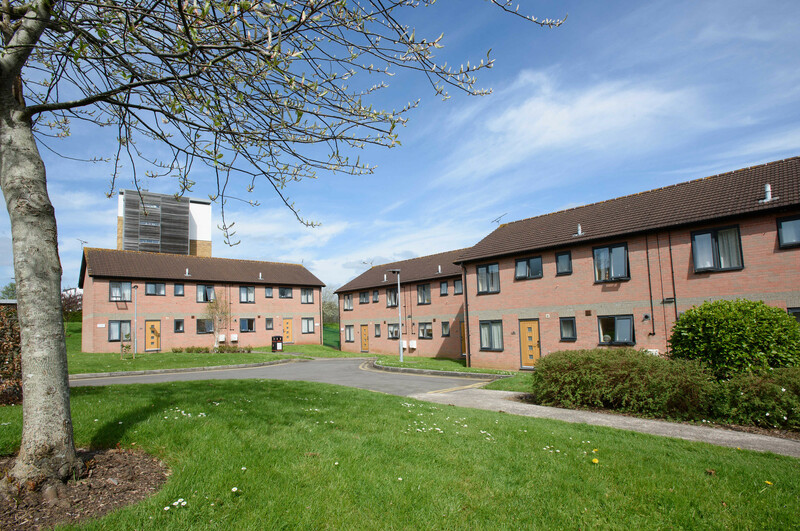 Carroll Court is a small, self-contained community of two-storey residences, situated in the middle of our Frenchay Campus. You’ll live with five others and have your own room, shared bathroom, kitchen and living space. And you’ll be within walking distance of the library, Students’ Union, Centre for Sport and all our other facilities. To get to lectures and other facilities easily on foot. Single bed, wardrobe, desk, chair, bookshelves, bedside cabinet, desk lamp, mirror. Kitchen with cooker, microwave, kettle, fridge/freezer, bins, storage cupboards, ironing board. Living area with table, stools, sofa and easy chairs. Other features Customer service desk, onsite staff to help with any issues. Carroll Court, UWE Bristol, Coldharbour Lane, Frenchay, Bristol, BS16 1US. If you'd like to make Carroll Court your new home, find out how and when to apply.